The mission of MinSouth is to be a focus for mining & minerals related professionals based in London and the South East of England, to influence the wider public, to support the IOM3 in its objectives as well as supporting the educational system for the development of the next generation of mining professionals. A voice through the Mining and Minerals grouping of the IOM3, the International Mining & Minerals Association, IMMa. We are funded by a grant from the IOM3 and through company sponsors who share our learned society aims. Learned Society: 1958 to Date: MinSouth is the current incarnation in a long history of local branches and sections representing the major professional mining bodies based in the United Kingdom. 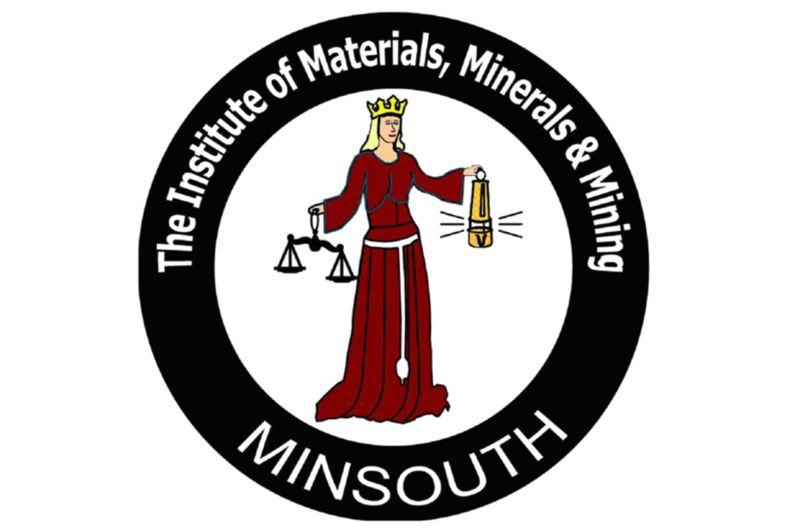 MinSouth took its present form as a local society of the Institute of Materials, Minerals and Mining, the IOM3, in October 2004. The IOM3, itself was formed in 2002 by the merger of the Institute of Materials and the Institution of Mining and Metallurgy, the IMM. In July 1998, the IMM, which had traditionally represented the non-coal mining professionals, had merged with the Institute of Mining Engineers, the IMinE, which represented coal mining professionals. The IMinE had itself in an earlier merger in 1991, absorbed the Institution of Mining Electrical and Mining Mechanical Engineers, IMEMME. The history of MinSouth parallels this history of the national bodies. We trace our history back to 22nd January 1958, when the Southern Counties Institute of Mining Engineers was inaugurated. This branch formed an important focus for local members of the IMinE, especially after the IMinE relocated its head quarters from London to Doncaster. The organisational strength of the branch has provided MinSouth with a solid foundation. Many senior figures in the coal industry have been its president. 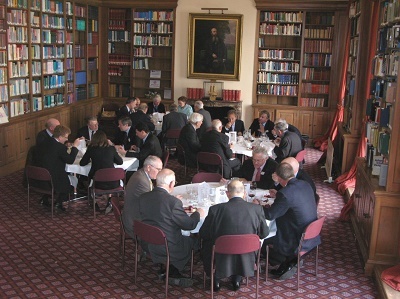 MinSouth carries on some of the key events, which the “branch” initiated, such as the Prestige/Special Invitation Lecture, started in 1982 and the joint meetings with the British Tunnelling Society. The IMM, on the other hand, remained headquartered in London, and for many years ran regular ordinary general meetings, OGMs, at which professional papers were presented, generally papers that had been published in the IMM Transactions. These OGMs, which were held in the late afternoon, were often followed by a dinner at which the speakers were guests. The dinners were open to members and their guests. After the meal, the president or in his absence the chairman would invite the diners to speak. Overseas visitors, in particular, were encouraged to report on interesting news on the industry in their country. These meetings and dinners provided a focus for IMM Members in London and the South East of England and there was little motivation to form a section in the region like those elsewhere in the UK and Overseas. However, during the 1980’s, attendance at the OGMs fell away and they virtually petered out. To fill this gap, in 1994, the South East of England Section of the IMM was formed, SEESIMM. On 18 March 1996, local representatives of the IMinE, the IMM and the Minerals Engineering Society met and formed the South East Minerals Association. 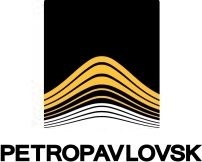 From the beginning of 1997, the three organisations ran joint monthly meetings. Then in July 1998, following the merger of the IMinE and the IMM, SEESIMM formed a joint council with the existing council of the long established Southern Counties Branch of the IMinE. Later that year the two groups became the Southern Counties Branch of the new IMM. Then following merger of the IMM and the IoM to form IOM3, the branch changed to a local society, the London and Southern Counties Minerals Institute, and adopted the name MinSouth. A sociable community: Alongside the learned society activity, there has always been a social side to the mining industry community in London. For many years when the offices of major companies were centred around Moorgate in the City of London, there was the Mining Club, which was a favourite watering hole and lunchtime venue for those in the industry. But with the demise of long lunches and the rise of in-house catering and the moving away of mining company offices it eventually closed. But it lives on in the Mining Club Award. In the early 1970’s, the directors of the consultancy firm, Mackay and Schnellmann, decided to start a monthly early evening social. The Mining Club only had a lunchtime licence and so the “Last Wednesday of the Month” was held in the upstairs bar of the Old Red Lion in High Holborn, between the City and the West End. This continued up into the late 1980’s, when Mackay and Schnellmann moved from High Holborn to Worship Street, to the east of the City. After a gap of a few years, the session was reinvented as the Mining Sundowner and subsequently moved to the last Thursday of each month (except December when it moves around) at a venue in the West End. For a number of years Emma Priestley organised the event; she was a stalwart member of the MinSouth committee for many years and is a past president. Due to increasing commitments elsewhere, Emma passed the baton on to Liv Carroll in 2007. Liv has been a MinSouth committee member since 2004 and was President for the 2008 – 2009 session. She is also a long standing committee member of the Applied Earth Science Division of IOM3 and was elected to the Geological Society council in 2015.